Here is a picture of her baby version using super bright batiks. She quilted it using feathers in the white fabric areas and stars in the batik squares. I had the honor of meeting Lin through the 2014 New Quilt Blogger Blog Hop. 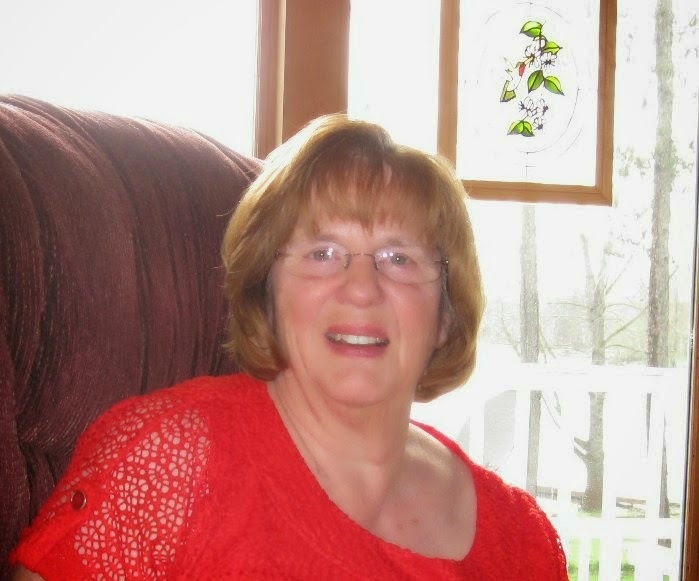 Lin has been sewing since 6th grade and quilting for more than 20 years. She owns a Handi Quilter Sweet 16 sit down long arm (which she loves) and a BabyLock Elegante. 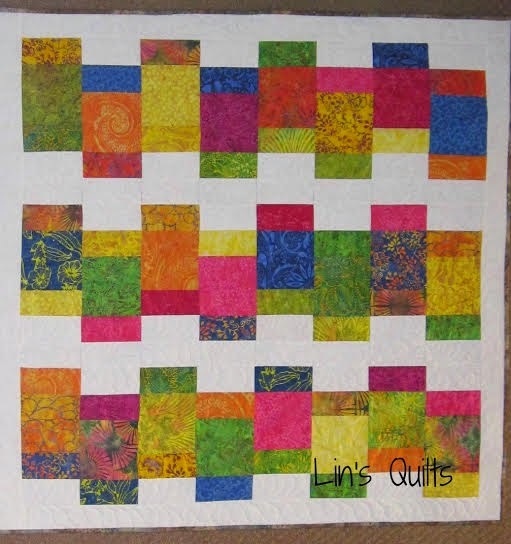 Lin is an excellent quilter, please go check out some of her recent finishes. Thank you so much Lin for reviewing for me! Please hop over to Lin's blog for more pictures of her quilt and a giveaway for a digital copy of the Looking Glass pattern!